The words ‘London’ and ‘budget’ don’t often appear in the same sentence and for good reason – London is one of the most expensive cities in the world. However, with a careful amount of planning and execution, it is possible to reign in your spends and make it that extra bit wallet-friendly. Despite London’s transport costs actually being cheaper than they were a few years ago, there is still nowhere on earth more expensive to get around than the capital. For students, few things are more disheartening than having to gut yourself just to get to the lecture building, or for that much needed pint afterwards (just the one though – remember it’s expensive!). But there are ways to minimise these costs. Plan out in advance where it is you need to go, and if it’s possible to walk, go for it. Think of it as a workout regime, that way you won’t begrudge doing it so much. If walking is too much of a stretch, a scooter or a bicycle might be worth the initial expense. Beware of the dirty words ‘express’ and ‘local’ after famous supermarket brands. You know the ones I mean. Tesco Express may be just around the corner but they’ll eat into your funds with their inflated prices. Stick to the larger stores or, if it’s too much trouble, order online – for a big shop, the cost of a cheap delivery slot should be more than outweighed by the savings you make. London life can leave a person with the impression they’re constantly being exploited, robbed even. There is one big benefit of being a student however, and that’s the huge range of student discounts and deals on offer – everything from clothing, books, tech and stationery to drinks, meals out and events. 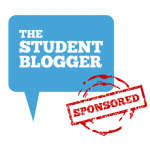 Check out student deals sites like Student Beans, UNiDAYS and Save the Student for the latest offers, and also keep an eye out for what discounts are available on your local high street. For example, top London hairdressers such as Top1One almost always have student-friendly promotions for students who might otherwise feel an urge to travel outside the capital in search of cheaper salons just to get their split-ends seen to. No that’s not a typo – there really are things to do in London that are not only inexpensive, they’re free! There are over 20 museums in the capital that you can access without ever having to dip into your pocket, and that’s not counting the art galleries and science exhibitions. There’s also a plethora of live music, comedy and festivals going on at some time or another, many of which are free. So if you’re a student in one of the world’s leading cultural cities, there’s no excuse not to broaden your horizons and feed your head. No, really. After a few weeks of scrambling to lecture halls (if you’ve already taken the advice of Step 1), you should be used to being more active. In that case, why not take a walk around one of the most beautiful cities in the world? If it’s a particularly sunny day, take a stroll through Kensington Gardens or Hyde Park and then maybe see if you can identify the unlikely wildlife that call Richmond Park and St James’s Park home, all without spending a penny. Samuel Johnson once said: ‘When a man is tired of London he is tired of life’ – a quote more relevant now than ever. In fact, there seems no end to the list of goings-on in the capital. But there is another apt phrase: that the best things in life are free. Be sensible, and you can do a lot more for less.